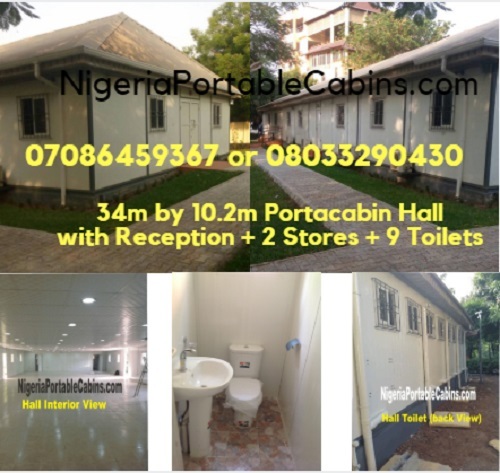 Buy Portable Cabin Nigeria. Online Prefab Houses And Portacabin Shopping Mall. Buy Your Dream Prefab House Fast With The Click of A Button! Want to buy portable cabin or prefab house? Need to buy portacabins pretty fast . . . like yesterday? The best part is . . . you can now buy portacabins or prefab homes even from the comfort of your office or living room. 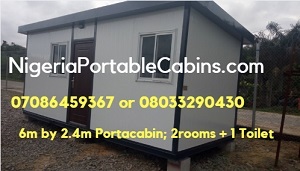 It's because this web site offers a premium online portable cabins and prefab homes shopping mall where anyone from anywhere in Nigeria (and beyond) can buy portacabins (or prefab cabins) and prefab buildings at the click of a button. This Nigeria Portable Cabin and prefab buildings shopping mall is the first Nigeria online shopping mall to offer people in Nigeria (and beyond) an opportunity to buy quick built prefab cabins and prefab homes at the click of a button. This premium portable cabins and prefab homes shopping mall offers potential customers a variety of prefab building designs they can choose from. From then on, everything happens pretty fast. And the customer could have his portacabin, prefab home, or prefab office delivered within days of the order. The shopper or site visitor simply fills our online order form with details of the kind of prefab cabin she wants and click the "Submit Request" button. We respond with a quote and she completes the order by making part payment for the portacabin or prefab office. This kick-starts the building construction process, which eventually delivers a brand new building to YOU, the customer . . . and within days of the order depending on the size of the building and the agreed timeline. Let's break this into simple steps so you get the gist faster. Our recommendation . . . buy portable cabin and prefab homes from a reliable source. Buy from us, the no. 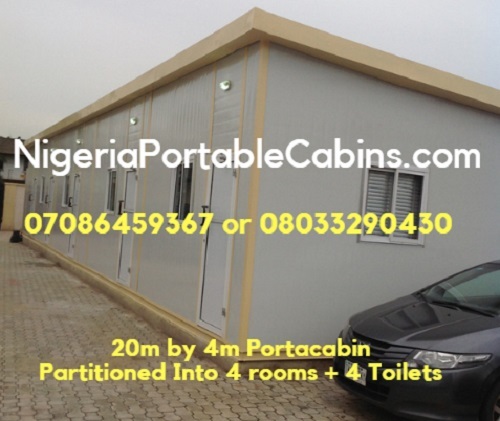 1 Nigeria portable cabin and prefab building company. Here's one beautiful thing about shopping in this Nigeria portable cabins and prefab buildings shopping mall. "What is it?" you wonder. Yes, every shopper has the unique opportunity to grab a nice discount from this premium Nigeria online portacabin shopping mall. You can get as much as 3-5% discount when you shop here. What do you need to do to receive this discount?